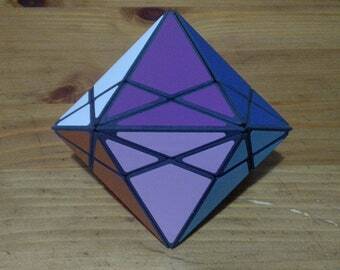 with the permission of Joseph Wong from his drawings I made the Hepta-Gem. 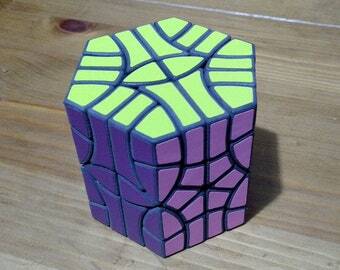 this is a very interesting and rare puzzle. 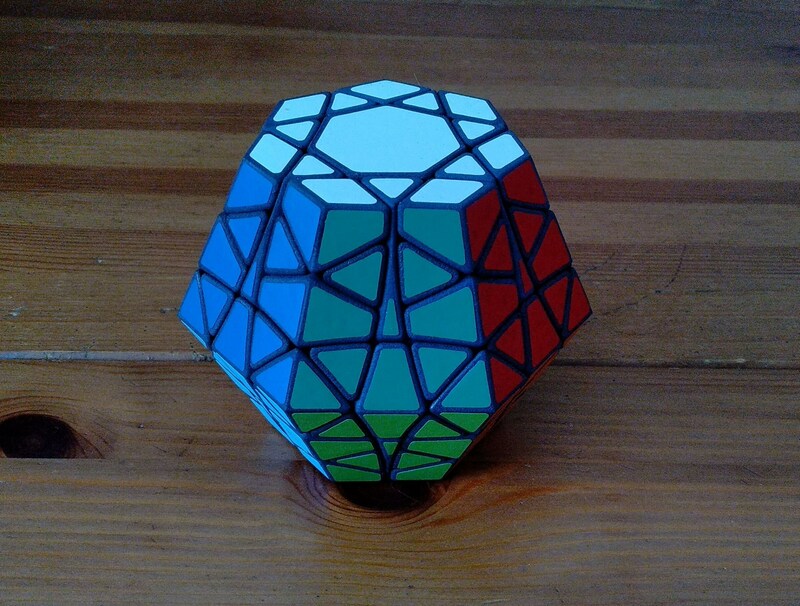 if your collection does not have this - it's a great chance to get a wonderful puzzle !!! 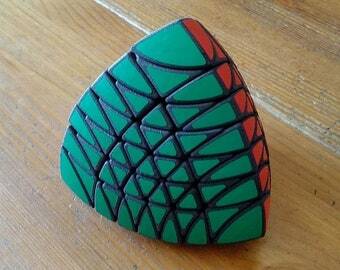 Presenting my new puzzle, the Hepta-Gem! 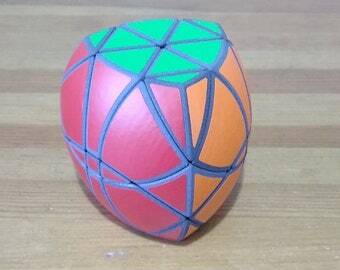 This puzzle is a face turning heptagonal dipyramid, and I believe it's the first puzzle to use this axis system. It turns on 14 axes and has 113 parts in total. Initially, I wanted to make it a proper dipyramid, but it would have been ridiculously tall, so I just truncated the polar vertices to form heptagonal faces. I also added stored cuts on some of the pieces to make it scramble more. Movement is very good. It's turnable with one finger and can corner cut quite a bit. 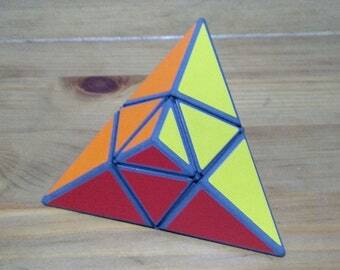 I can make and send you this puzzle after your order and payment within 10-20 days (term depends on the supplier of 3D printing). Delivery to any country in the world with tracking number. 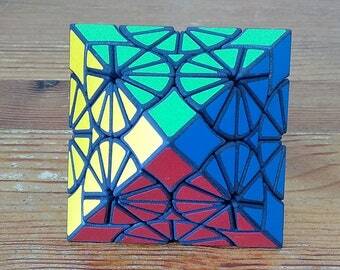 Available Combined shipping - you can order several puzzles to get a small discount or Free Shipping. 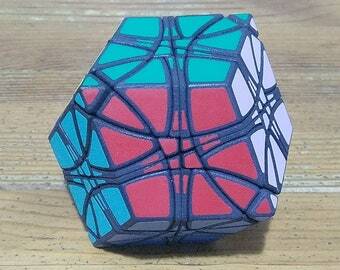 You need to understand: this puzzle is hand-made. 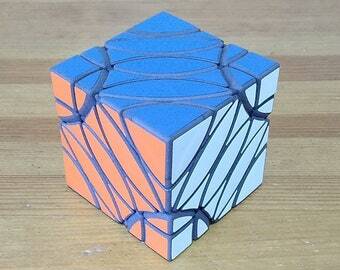 The plastic is printed on 3D-Printer from SLS-nylon, completely polished and painted. Stickers are made of Oracal film. 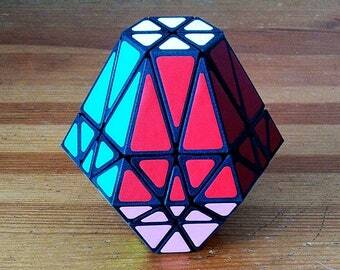 This puzzle is different from the products in mass production from the store. 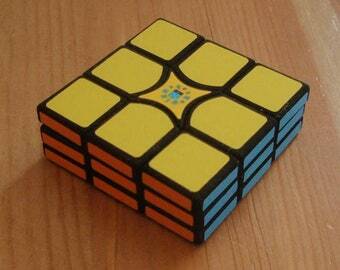 You can also play with it many times, but you must remember that this is a fragile product. 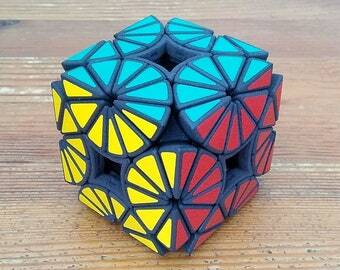 You get a fully assembled puzzle - this is an excellent specimen for the collection! Great quality and a very interesting challenge. Highly recommended for every puzzle enthusiast! This is a wonderful puzzle. 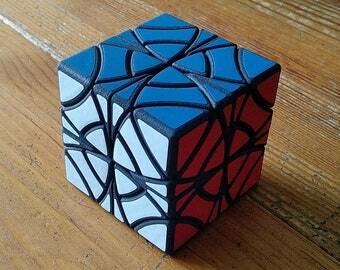 Looks simple enough, but scrambles very quickly. 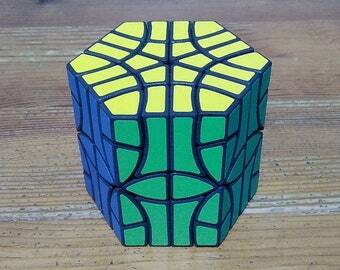 A well built puzzle with great matte color stickers. It will be a lot of fun solving this one. Very good seller! The puzzle is great and highly playable!